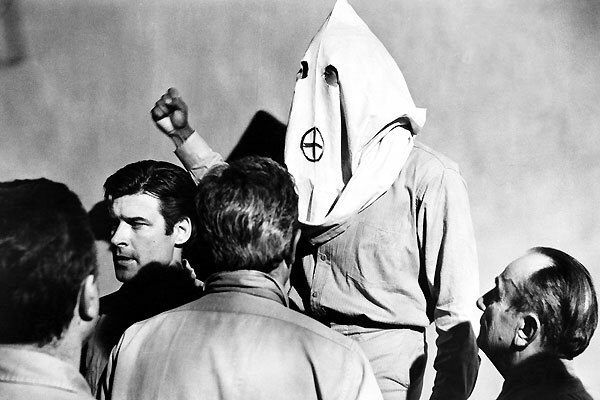 I feel Samuel Fuller’s Shock Corridor (1963) should be recognized, more so, as an American classic. This film is already a classic, in some circles. Though not as well know or recognized by others. From the beginning of the film I could tell it was going to be a great movie. This film is shot in a lush black and white, giving the film mood and a feel which would be lost in color. The main character John Barrett (Peter Beck) is a journalist looking to win the Pulitzer Prize. John is going to admit himself to an insane asylum, to uncover a murder mystery. There are three witnesses John must interrogate while he is undercover. The first witness was a Redneck who was in the Korean War but has reverted to thinking he is a civil war general fighting for the confederates. The second is one of the first blacks to integrate into a white college. He reverts to thinking he is the founder and leader of the KKK. The third is a scientist who helped develop the atom bomb and the nuclear bomb. He has reverted to a six year old artist. John somewhat plays into each of the men’s fantasies. He does this with a more genteel approach then the brash approach of the asylum doctors. This gives the witnesses’ moments of clarity where they are able to tell John what they know, about the murder. While John is in the asylum his girlfriend fears he will lose his own sanity. This is exactly what happens in the process. I believe this is a comment on ones extent for fame, or that is my interpretation on what is going on. What price will one pay to achieve one’s goals? While some of this sounds absurd, that is because it is supposed to. While writing this Samuel Fuller was thinking of absurd playwrights like Eugene Ionesio, Jean Genet, and Samuel Beckett. This setup gives a great format to make comments on American society and the contradictions that sometimes arise. As I watched this movie I enjoyed it more and more as it went along. I also believe there are many more ways to look at this complex film. If you are looking for an older movie that still holds a commentary for today, then see this movie.